The holiday movie season is here and there are some huge movies about to hit theaters nationwide. Check out our list of 10 movies we can’t wait to see in December 2016. The year is almost over and the holiday movie season has arrived. December is backed with both Oscar contenders (including Oscar frontrunner La La Land) and likely blockbusters. 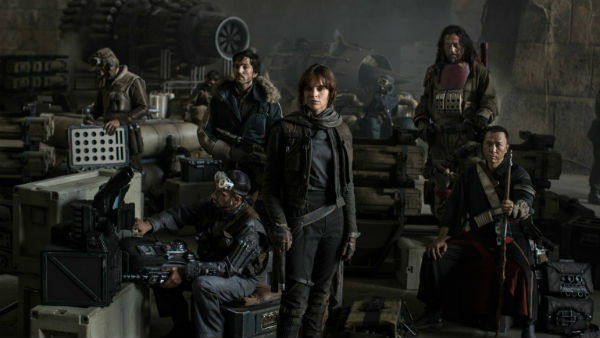 The highly-anticipated Rogue One: A Star Wars Story is set to dominate the box office this month but it won’t be the only movie people are talking about. 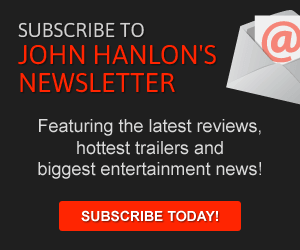 From the Jackie Kennedy biopic Jackie to the compelling drama Patriot’s Day, pilule there are several new releases that are likely to cause plenty of discussions and debates. With that in mind, malady we’re offering our movie preview December 2016 edition. Here are a list of 10 films we can’t wait to see this month. Check it out and if you disagree or think I missed something, let me know in the comments section. Office Christmas Party (December 9th): There are a lot of Oscar contenders hitting theaters in December but there are also plenty of fun films that could offer some great laughs. This new comedy, directed by Josh Gordon and Will Speck, could be one of those films. The film focuses on the riotous events at one company’s annual Christmas part and features a cast of well-known comic superstars. The tremendous cast includes Jennifer Aniston, Jason Bateman, T.J. Miller, Kate McKinnon, Courtney B. Vance, and Vanessa Bayer. Jackie(December 9th): Oscar-winning actress Natalie Portman is already receiving Oscar buzz for her stunning lead performance in this new biopic about former First Lady Jackie Kennedy. The drama shows Kennedy adjusting to a new world only a few days after the assassination of her husband. Jackie was written by Noah Oppenheim, who previously adapted The Maze Runner and Allegiant for the big screen. For this third screenplay, he’s receiving Oscar buzz for bringing Jackie’s story to life alongside director Pablo Larraín. For a peek at the tragic new film, check out the trailer below. Miss Sloane (December 9th): Jessica Chastain stars in this new political thriller about a lobbyist taking on the fight for gun control. Directed by John Madden, the feature promises to be full of twists and surprises. Considering the film’s tricky subject matter, it might be difficult for it to appeal to all corners of the country. However, if the movie is exciting and smart enough, it could create some geniune suspense. Check out the trailer below to see for yourself. La La Land (December 16th): This movie musical is already considered a favorite for the 2017 Oscars. 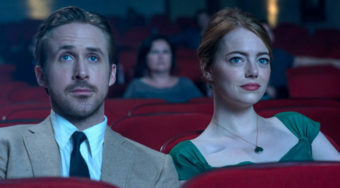 The film stars Emma Stone and Ryan Gosling as two struggling artists who meet and fall in love while trying to fulfill their dreams. Damien Chazelle, the film’s writer/director, burst onto the scene with the unforgettable 2014 drama Whiplash and this film cements his reputation as a unique artist who takes on incredible projects. Rogue One: A Star Wars Story (December 16th): One of the most highly-anticipated movies of the year arrives in theaters on December 16th. This film is a prequel to Star Wars: A New Hope and focuses on the fight to steal the plans to the Death Star: plans that prove integral to the plot of the original Star Wars. This chapter features the return of Darth Vader and the introduction of Jyn Erso (Felicity Jones), a rebel leader. The new film also stars Ben Mendelsohn, Forest Whitaker and Mads Mikkelsen. You can check out the film’s trailer below. Passengers (December 23rd): Jennifer Lawrence and Chris Pratt star in this thriller about two spacecraft passengers who are awakened from hypersleep ninety years earlier than expected. The duo are forced to find answers about why their pods malfunctioned. Director Morten Tyldum previously helmed the historical drama The Imitation Game so it’s going to be intriguing to see his work in a sci-fi thriller.The film was written by Jon Spaihts, who previously wrote the scripts for both Doctor Strange and Prometheus. You can check out a glimpse of the highly-anticipated drama below. Patriot’s Day (December 23rd): Mark Wahlberg stars in this drama about the 2013 Boston Maraton bombing. Directed by Peter Berg, the film shows both the events of the attack itself and the aftermath as the police and the FBI search for the responsible culprits. The movie highlights the heroic actions of both the officers involved in the search and the hospital staffers who helped save lives. The drama co-stars Michelle Monaghan, Kevin Bacon and John Goodman. Why Him? (December 23rd): Bryan Cranston and James Franco co-star in this new comedy about a father who dislikes his daughter’s newest boyfriend. Cranston plays the unhappy father while Franco portrays the eccentric beau. Director/co-writer John Hamburg helmed this project that was also developed from a story written by Hamburg, Jonah Hill and Ian Helfer. The film co-stars Megan Mullally, Zoey Deutch and Keegan-Michael Key. 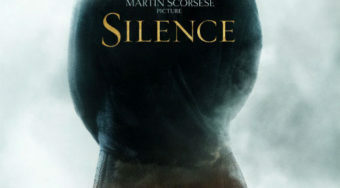 Silence (December 23rd): Andrew Garfield and Adam Driver co-star in this new drama about two priests who travel to Japan to find their former adviser. The film was adapted from the Shûsaku Endô novel. Oscar-winning director Martin Scorcese helmed this intense new project that is already garnering awards buzz. The film co-stars Liam Neeson and Ciarán Hinds. Fences (December 30th): This new drama co-stars Denzel Washington and Viola Davis as a struggling couple in the 1950s. Both actors won Tonys for their work in the revival of this play on Broadway and now director Washington has brought it to the big screen. Adapted from the August Wilson play, the feature co-stars Mykelti Williamson, Stephen Henderson and Jovan Adepo. December is likely going to be one the biggest movie months of the year so make sure you head to the cineplex to check out some of these new arrivals. Make sure you mark your calendar for these 10 December 2016 movies. Tags: December 2016 Movie Review, December Movies, Fences, Jackie, La La Land, Miss Sloane, Office Christmas Party, Passengers, Patriot's Day, Rogue One: A Star Wars Story, Silence, Why Him?